The 2019 Toyota Tundra TRD Pro’s Fox shocks give it what may be the best full-size pickup truck ride, but it’s expensive and oddly equipped. When it comes to its 2019 Tundra, Toyota moves at a glacial pace. 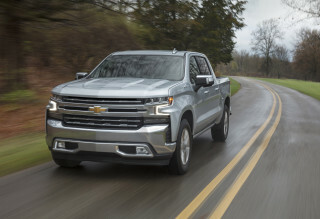 The full-size pickup truck has its loyalists, but its dated design and guzzling V-8 engines make it a hard sell against more modern trucks from every rival. The 2019 Toyota Tundra is mostly carried over from last year, albeit with some worthwhile upgrades to the pricey TRD Pro range-topping trim level. The Tundra is also available in SR, SR5, Limited, 1794 Edition, Platinum, and TRD Sport trims. Toyota hasn’t redesigned the Tundra since 2007. The effects of a thorough update for 2014 can still be felt, but that was six model years ago. Every Tundra leaves the factory with a V-8 under its hood. A 4.6-liter rated at 310 horsepower is standard on SR and SR5, but a beefy 381-hp 5.7-liter is more common. In all, a 6-speed automatic shuttles power to the rear or, optionally, all four wheels. No full-time four-wheel-drive system is available. The Tundra steers well and has a plush ride, but it’s far from nimble. Updates over the years have made it a quiet, comfortable highway cruiser. The TRD Pro’s new Fox shocks are tuned to swallow just about any bump on or off the road. Inside, the Tundra has plenty of space especially in crew-cab configuration—but also acres of cheap plastics that would be out of place at half the prices Toyota charges. Most Tundras have a large touchscreen for infotainment, but Apple CarPlay and Android Auto are frustratingly unavailable. In better news, the Tundra bests every rival in its active safety tech: standard equipment includes automatic emergency braking, adaptive cruise control, and automatic high-beam headlights. The 2019 Toyota Tundra has big-rig angles, but its look has become too familiar. The 2019 Toyota Tundra gets most of the big truck elements right: a wide, tall grille, chunky fenders, and badges big enough to go on a billboard. The Tundra is available in extended- and crew-cab configurations. The latter is far more popular and it has a long cab with wide doors front and rear. Tundras have a big grille topped by a skinny faux opening and, on many trims, a non-functional hood scoop. There’s more show than go here, but the look works well enough either dressed in chrome on SR5 and 1794 Edition or with a monochrome look on the Platinums and TRDs. Inside, the Tundra’s silver plastic trim reveals this design’s age. Remember when flatscreen TVs were silver? So does Toyota. The dashboard is wide and symmetrical, with controls grouped either in the center below 6.1- or 7.0-inch touchscreens for infotainment or to the left of the steering wheel. Most Tundras don’t look particularly dressy inside, although Limited and 1794 Editions have nice stitched vinyl and faux wood on their dashboards and center consoles. Rivals universally have more design flair, however. The 2019 Toyota Tundra has its pickup truck virtues intact, for better or worse. Good isolation from the road and robust power from its V-8 engines elevate the 2019 Toyota Tundra, but it’s let down by semi-truck maneuverability. The Tundra’s powertrain lineup is simple. A 6-speed automatic shuttles power to the rear or all four wheels. 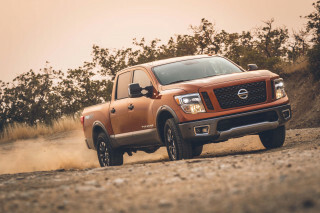 Most Tundras use a 381-horsepower 5.7-liter V-8, although a 310-hp 4.6-liter is standard on SR and SR5 trims. Both V-8s furnish good power matched to a race car-grade soundtrack, especially with the optional cat-back exhaust. They’re smooth at idle and can lug as much as 10,300 pounds when properly equipped. The 6-speed automatic shoots off predictable, smooth shifts. With standard rear-wheel drive, the Tundra will eagerly bark its rear tires away from a stop. Four-wheel drive is optional, but Toyota’s system isn’t suitable for use on dry pavement like most rivals. The Tundra has a soft, composed ride over most pavement. 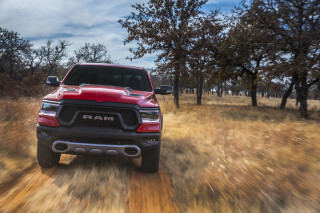 Unladen, its tail can bounce around—but that’s typical for full-size pickups. Its steering has more heft than some rivals, but the Tundra has a wide turning radius and can feel ungainly in parking lots and urban settings. On the highway, the Tundra’s ride is smooth and composed, highway tracking is above average, and most versions are well-isolated. For off-roaders, the Tundra TRD Pro has upgraded Fox shocks that give it an especially cosseting ride. Its girth means that the Tundra isn’t well-suited to tighter trails, but it’s fine for bounding over dirt roads, in fields, or on sand. 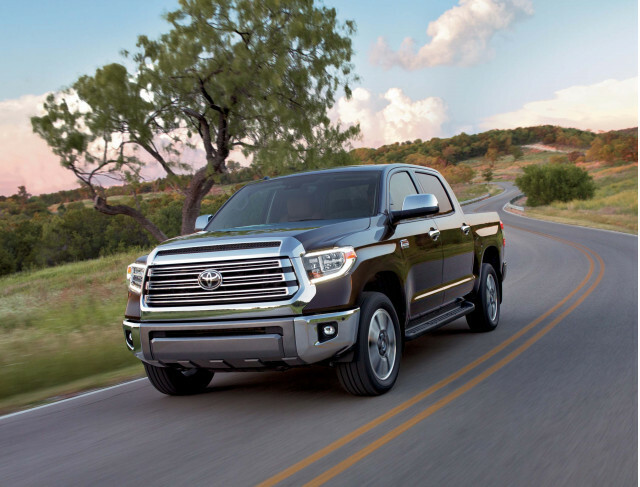 A spacious cabin makes the 2019 Toyota Tundra comfortable for the whole family, but no version has a luxurious feel. The 2019 Toyota Tundra has plenty of space for humans and their gear and comfortable, supportive seats, but its low-buck plastics wouldn’t impress at half its price. Tundra SR, SR5, and Limited trims are available in extended-cab configurations that have good room up front and wide, well-padded seats. A bench seat is standard on SR and SR5, but buckets with a center console are more common. Extended-cab Tundras don’t have great space for second-row riders, but they’ll accommodate adults for around-town stints. A better choice for those who regularly haul passengers is the crew-cab configuration. Its rear seat is flat and upright but legroom is extensive. No Tundra has more than a smattering of soft-touch plastics or unique surfaces. At the prices Toyota charges, we expect more. Depending on the cab, the Tundra can be had with either 5.5-, 6.5- or 8.1-foot beds. Unlike rivals with easy-lift tailgates that fold into a workspace, built-in storage bins, and steps, the Tundra’s bed is what it is: a place to put things. The 2019 Toyota Tundra boasts active safety gear, but its crash-test scores are just average. 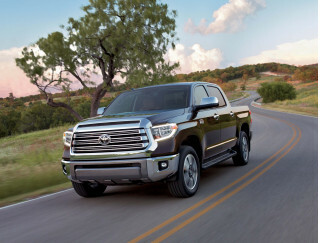 With standard active safety tech, the 2019 Toyota Tundra has a leg up on its rivals. If only its crash-test scores matched. The Tundra includes automatic emergency braking with pedestrian detection, adaptive cruise control, lane-departure warnings, and automatic high-beam headlights—all features rivals make costly options. Blind-spot monitors are optional on the 2019 Tundra. The NHTSA rates the Tundra at four stars overall. Rear-wheel-drive versions score just three stars for rollover. The IIHS gives the Tundra mostly “Good” scores, but extended- and crew-cab versions earned “Acceptable” and “Marginal” small-overlap scores, respectively. No Tundra earned a Top Safety Pick award. The 2019 Toyota Tundra lacks some convenience features found in its competitors. Don’t look for a 2019 Tundra priced below about $32,500. That’s for an extended-cab SR, which has active safety tech, power features, and a 6.1-inch touchscreen for infotainment. The Tundra SR5 costs about $34,500 to start and is the gateway to more options and the popular crew-cab body style. It comes with chrome bumpers, upgraded infotainment software, intermittent wipers, and a few other features. The Tundra Limited adds about $10,000 but is well-equipped with heated leather seats, dual-zone automatic climate control, a 5.7-liter V-8, a tow package, navigation, and a few other features. For about $51,500, the Tundra Platinum and 1794 Edition trims have a similar feature set—softer leather, JBL audio, cooled front seats, 20-inch alloy wheels, and more—but different styling themes. The Platinum trim has a monochrome look with dark hues inside. The 1794 Edition is equipped the same but has southwestern-inspired trim colors. Its name signifies the year Spaniards first settled the Texas ranchland where Toyota now builds the Tundra. The Tundra TRD Pro costs about $50,500 and includes Fox shocks, 18-inch wheels wrapped in Michelin all-terrain tires, LED headlights, skid plates, leather seats, and a moonroof. It’d be nice to see heated seats and a leather-wrapped steering wheel for that kind of money, however. No Tundra features Apple CarPlay or Android Auto compatibility, an absence hard to overlook in 2019. The 2019 Toyota Tundra has a drinking problem. The company that makes the Prius also has the thirstiest full-size pickup on the market. The 2019 Toyota Tundra guzzles like it’s 2009, mostly because its design is stuck in 2009. Most Tundras use a 5.7-liter V-8. With four-wheel drive, it’s rated at just 13 mpg city, 17 highway, 15 combined. The Tundra TRD Pro is even thirstier: 13/17/14 mpg. Two-wheel-drive Tundras weigh slightly less and kick those numbers up to a still-terrible 13/18/15 mpg. The base 4.6-liter V-8 is the greenest option here, but not by much: 14/18/16 mpg with four-wheel drive and 15/19/16 mpg with rear-drive. 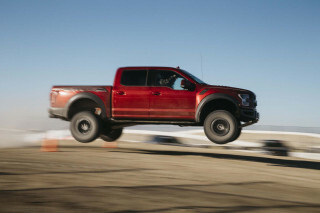 Rivals from Ford and Ram easily top 22 mpg combined in popular configurations using the EPA test.